For large groups, travel can often be riddled with tension and stress. At EcoStyle Chauffeured Transportation, it’s our mission to transform group travel into a luxurious, enjoyable experience. With that in mind, we offer coach bus service across the country that provides stylish travel for your corporate group. Our coach buses are kept flawlessly clean, on the inside and outside, and can comfortably seat up to 30 passengers. We utilize the newest models of luxury coaches, offering our clients efficient travel that emphasizes their style and taste. Our coaches are also customizable, giving you the option for high-back seating with armrests, TVs, DVDs and more. 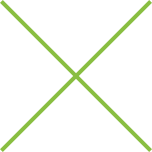 Whether you’re going to a business meeting with international visitors or taking shareholders to a special event or dinner, EcoStyle’s coach bus service can flawlessly accommodate all of your travel needs. When you choose to travel with EcoStyle, you’ll do more than just get to your destination –– you’ll enjoy the ride along the way. Even for a group of 20 or 30 people, we can inspire success in your business partnerships by giving your guests a relaxing travel experience in between plane flights and meetings. Our chauffeurs are trained to treat each client with the utmost respect and professionalism, ensuring that your transportation goes smoothly and your group arrives on time, everytime. You can depend on EcoStyle to uphold your high business standards with each of our chauffeur services, no matter if we’re transporting a party of one or 21. 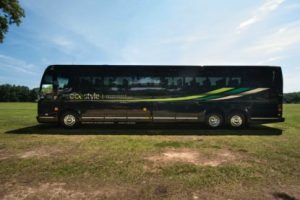 Browse through our luxury coach bus options online, then give us a call at (919) 890-3839 or contact us online to start your travel reservations with EcoStyle today. EcoStyle Chauffeured Transportation is a premier executive chauffeur company headquartered in Raleigh, NC. We have years of experience transporting corporate clients in cities throughout the US in the finest fleets of luxury coaches, sedans and more.